October is running to an end. The days are getting shorter, and the weather is getting colder. So grab a blanket and a hot chocolate, while you read what’s new in Cumul.io this month! Mobile, tablet, desktop,… What’s your preferred device to view your dashboards? As you know (or are about to learn), Cumul.io allows you to tweak your dashboard for different screen modes. For example, when you add or modify a chart in the desktop view, these changes will be applied to every screen mode you have enabled for the dashboard. Only the positioning of the charts will change. For example, if you add or delete a chart in the ‘mobile’ view, it will only apply to the mobile view. You’ll need to change desktop and other modes individually. In the past, we’ve seen users struggling when re-enabling synchronization. This automatically overrides all your existing screen modes, while this is not always the desired result. Has this ever happened to you? Then you’ll be happy to hear we’ve added an undo button for sync & desync. From now on, you can easily switch back to your previous versions! The same goes for undo when deleting a screen mode. For example, if you’d delete the desktop view when desynched, you’ll be able to recuperate it with the undo button, instead of being lost forever. 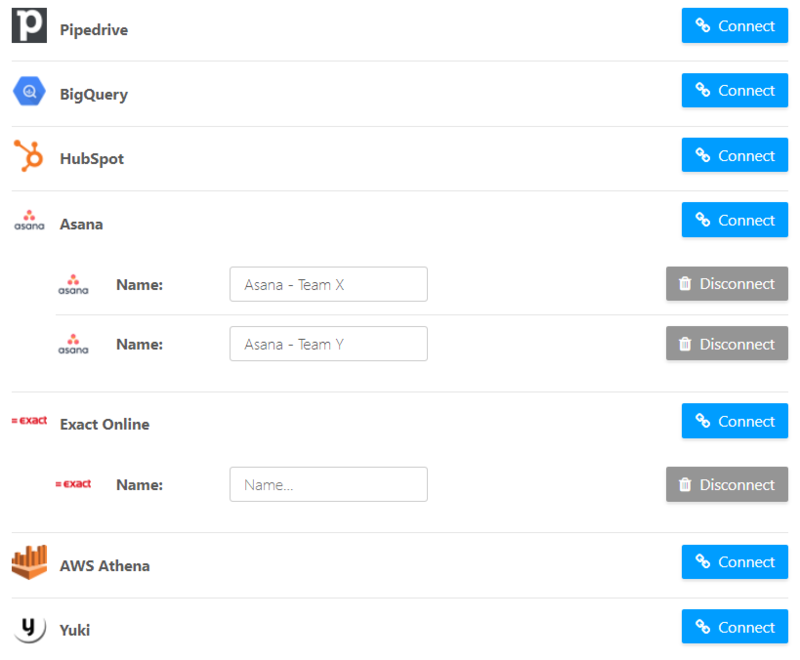 Plugins let you easily add data from any source to Cumul.io. To make that experience even more complete, we’ve added some new stuff to our plugins! 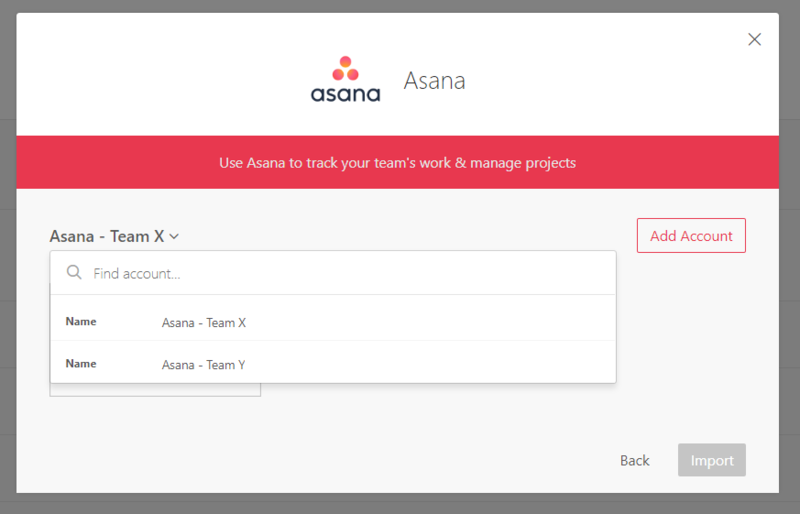 Have you connected your database, your own plugin, or an account from Pipedrive, HubSpot, Asana? You can now manage ALL your existing connections in your Profile section below ‘Connected Accounts’. When creating a new dataset, you can easily switch between accounts. Browse & search accounts based on the name you gave them on the overview page. 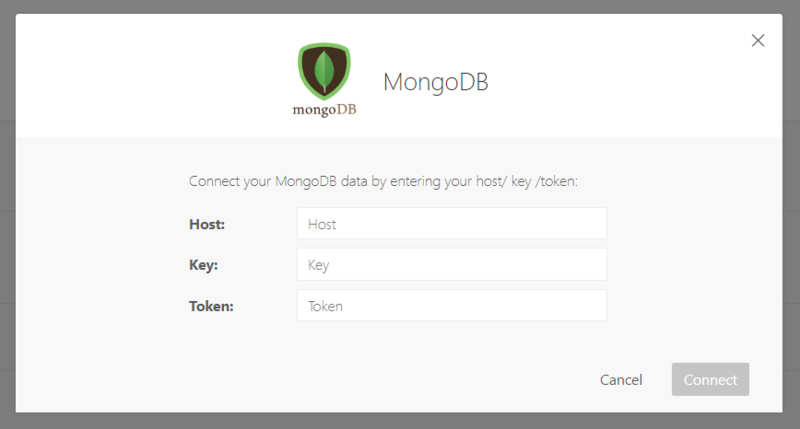 Are you using MongoDB? Good news! We launched a new connector, which allows you to connect your data from MongoDB in minutes. Simply enter your hostname, key and token, and you’re good to go. A fan of donuts & pies? Just to be clear, we’re talking about the charts here ;-). 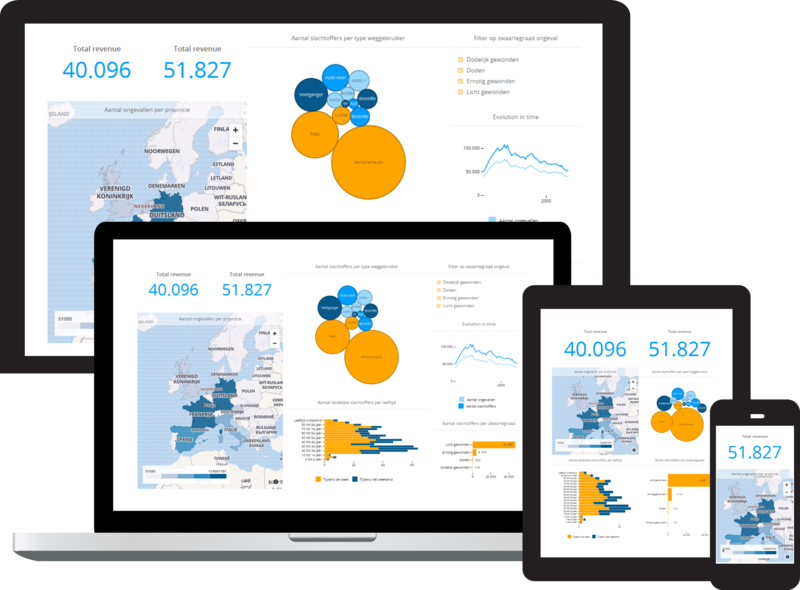 We did some adjustments, so now you can choose how to present your data in pie charts or donut charts. 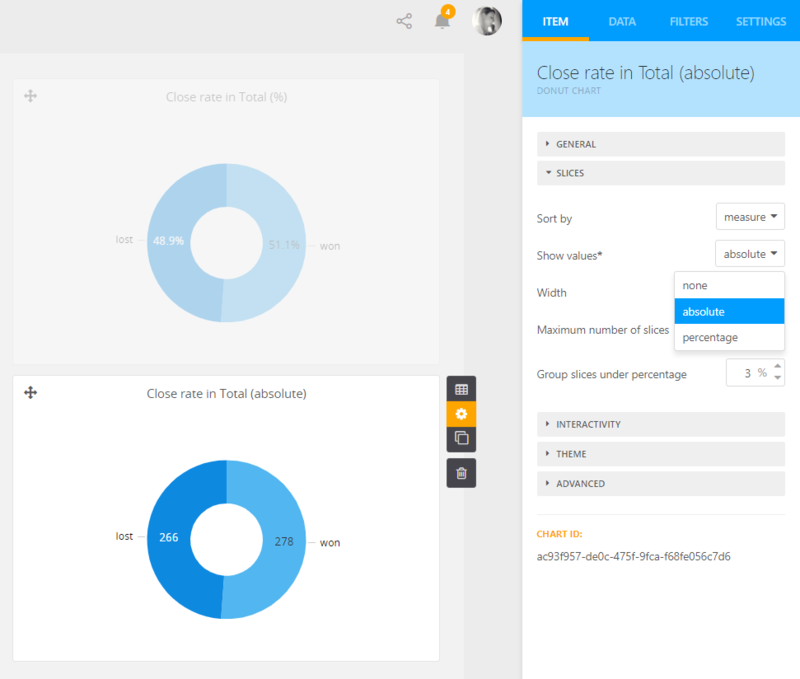 In the past, pie charts would indicate the percentage of each part by default. Now, it’s also possible to show the absolute values of each part.